Mater Christi’s Year 9 Adventure Program incorporates Outdoor Education, Physical Education and Humanities. 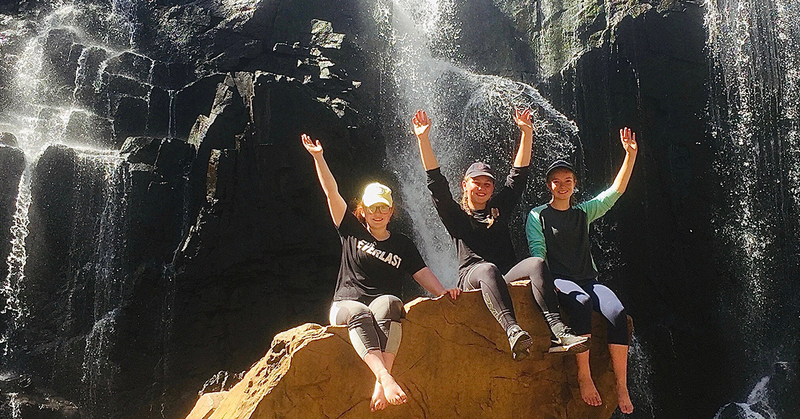 As part of the program, our class (9A) had an Adventure camp in the Grampians, from 12 – 15 March. Before setting off, we thoroughly researched and prepared for camp. We learnt new skills and information about the Grampians area, so we would be ready for the journey. We researched facts about the National Park and trained our bodies to prepare for the hikes to come. We went to the Hardrock Climbing centre to practise rock climbing and abseiling. This helped us overcome mental blocks and pushed us to do our best on camp. We also learnt how to use the Trangia stove for cooking food in the bush. During the camp we visited Brambuk Cultural Centre where we learnt about the history of Gariwerd, painted boomerangs and tried some interesting food like emu, kangaroo and crocodile. 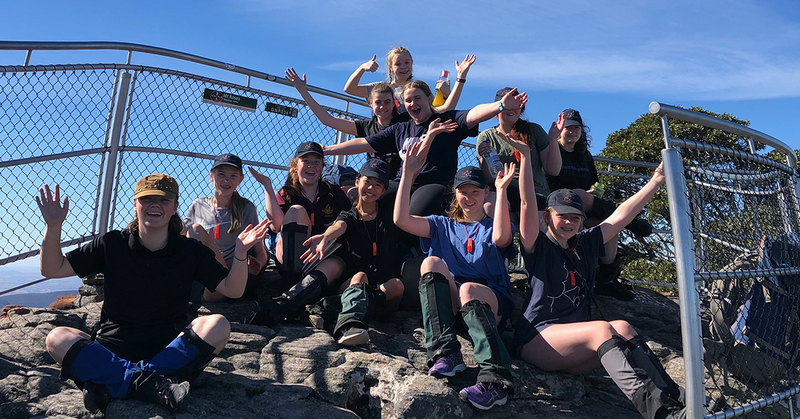 We hiked up to the Pinnacle, visited Mackenzie Falls and climbed Mt Rosea. We stayed at Stony Creek campground during our overnight bush stay and on the last day we went to Hollow Mountain to rock climb and abseil. While on camp we overcame many challenges and faced many fears. We all encouraged and supported one another and had each other’s back. When we went abseiling, the instructor helped us understand the perceived risk vs the actual risk to help motivate us down the wall. Overall, the adventure program was an amazing experience and our class has benefited and grown from being part of it.